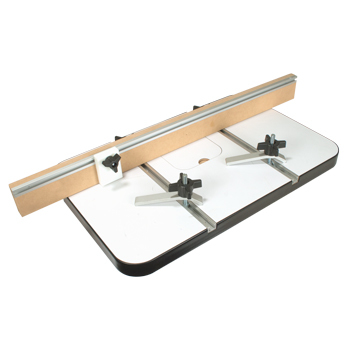 Our Drill Press Table is designed to fit virtually any drill press! 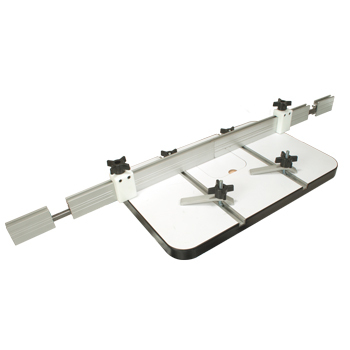 With a unique post knob to T-track attachment system the table can be moved freely until you find your “comfort zone”. 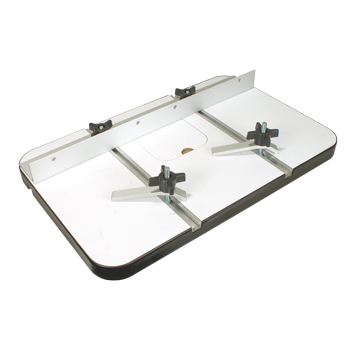 The table measures approximately 15” x 24” and it is laminated on both the top and the bottom to prevent any kind of warping and to keep the top flat. Approximately 1-3/8” thick, this table is built to last! Our Deluxe Drill Press Table comes with a 32” MDF fence with mini-track pre-installed and a UHMW stop block with knob and bolt. This kit has the same unique post knob to T-track attachment system that comes standard on all of our drill press tables. The table measures approx. 15” x 24” and is laminated on both the top and the bottom to prevent any kind of warping and to keep the top flat. Our Ultimate Drill Press Table comes with all the great features of our basic table, Plus it sets up with two - 22” Miter Fences that extends your table fence out to huge 72” wide! 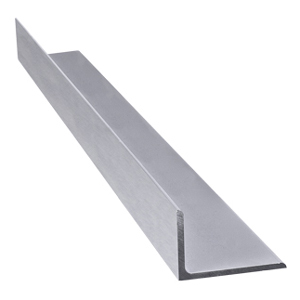 The two Miter Fences can be extended out or you can keep them in at the combined fence length of 44”. 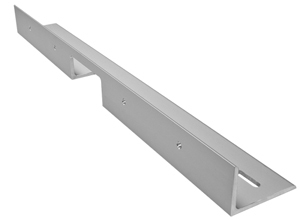 This package also comes with 2 UHMW stop blocks for both ends of the fence system. The Drill Press is a great tool but has some limitations for woodworking. If you find yourself always looking for a board to place under the piece of wood you are trying to drill or a third hand to hold it in place, then this is the kit for you. 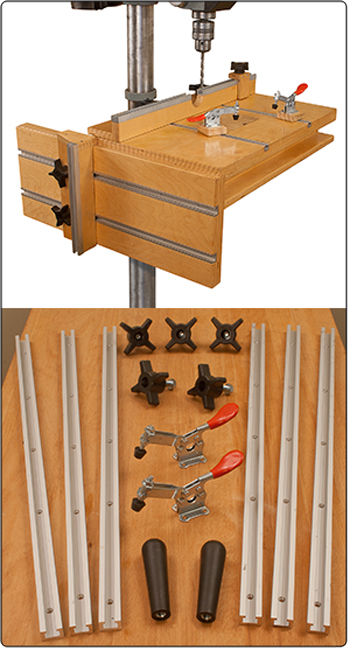 This 14” X 24” deluxe drill press table kit incorporates hold down clamps, removable plate, stop block and side vertical drilling capabilities. Everything a woodworker needs. Plans not shown in image, but are included. Plans & Hardware Only, wood NOT included.